Rising pop singer Shannon Kistler never expected to see college student Kevin Derow on a Manhattan street wearing her concert shirt. But she offers gratitude in her own way, leaving her biggest fan in shock. When the two teenagers meet again six days later, Shannon slips Kevin her phone number, and the unlikely romance begins. Soon they find they have several things in common: lonely childhoods, a passion for music, and making unpopular choices about their own lives. The public cannot take Shannon seriously as a teenaged recording artist, but she risks her sudden success by making some public mistakes after breaking into a soulless music industry with unusual ease. Meanwhile Kevin loses the respect of family, friends and coworkers over the girl he idolizes-and unwittingly blows the lid off a payola scheme devised by Shannon's record label, threatening her career and possibly his own freedom. A SONG APART revolves around two young people from distinct backgrounds who choose to follow their hearts rather than their peers and find a greater reward at the end of their paths. 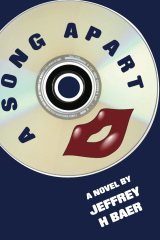 You may purchase A SONG APART in paperback at Createspace, Amazon®, Smashwords or for Kindle on Amazon. His Last Manager Terminated Him Without Warning. He’ll Wish His Next Manager Did The Same Thing. Gary Strickland is astonished to lose his job before proposing to his childhood sweetheart Angela and braces for a lengthy search through the maze of New York City companies. Three days later Alex Schneider, a successful trade paper’s CFO, hires the recent college graduate to collect unpaid amounts from advertisers. But no sooner is Gary wedged among stingy clients, selfish coworkers, and his frazzled manager, than he and Angela learn they’ll become parents before husband and wife. Three months later Gary’s company-wide invitation to his engagement party inadvertently enrages Alex, who then manipulates the young and unproven employee to protect his own fragile position. After Gary’s moral fiber takes a thorough beating, he finds Alex’s file suggesting he’s a hostage to upper management. 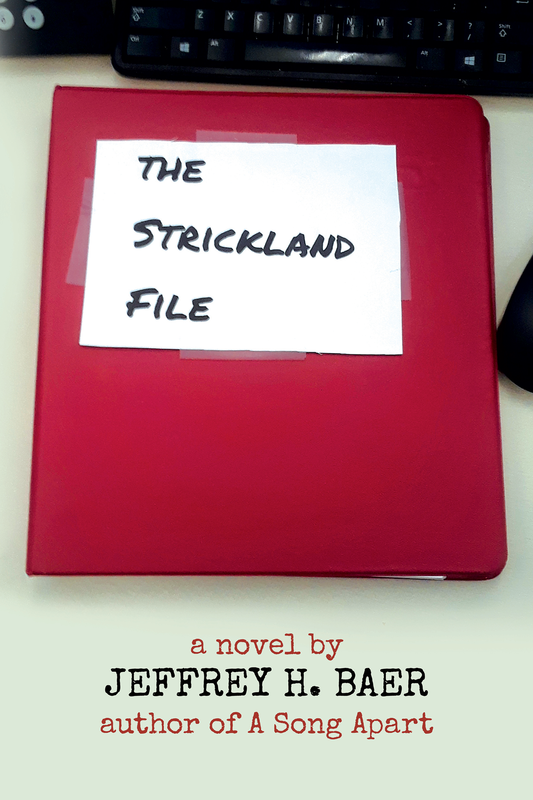 Now Gary must abandon his livelihood before the office politics crush him, or remain for his family’s sake and risk a future defined by…THE STRICKLAND FILE.